Find the right tour for you through Pompeii. We've got 140 tours going to Pompeii, starting from just 3 days in length, and the longest tour is 47 days. The most popular month to go is June, which has the most number of tour departures. 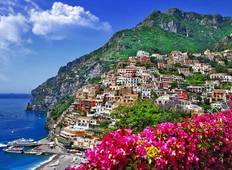 "I was on the Amalfi Coast Tour with Sasa. This has been one of the best experiences...."
"Great trip, knowledgeable guide, comfy van, fun people!" "We have just returned from our first tour arranged by Wingbuddy's. 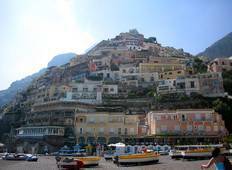 Our tour eventually..."
"I went on the 4 day Amalfi Coast tour in early August 2013. The trip was absolutely..."
"I really enjoyed this trip. Our local guides were very good. I wasn’t interested..."
"Wow, what a tour! I felt like I experienced all Italy has to offer. LOVED Tuscany...."